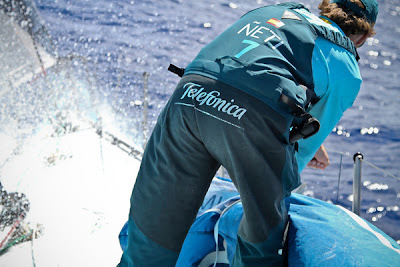 The top three teams on Leg 6 from Brazil to the USA are today engaged in a nip and tuck scramble as Ken Read’s PUMA Ocean Racing powered by BERG continue to lead from Chris Nicholson’s CAMPER with Emirates Team New Zealand and Iker Martínez´s Team Telefónica in third. With just over 3,000 nautical miles still to go, PUMA managed to pull out a lead of slightly over 13 nm by the 0700 UTC position report this morning, but the margin between second and third remained miniscule, with overall race leaders Telefónica edging past CAMPER to establish an advantage of just one and a half nautical miles. 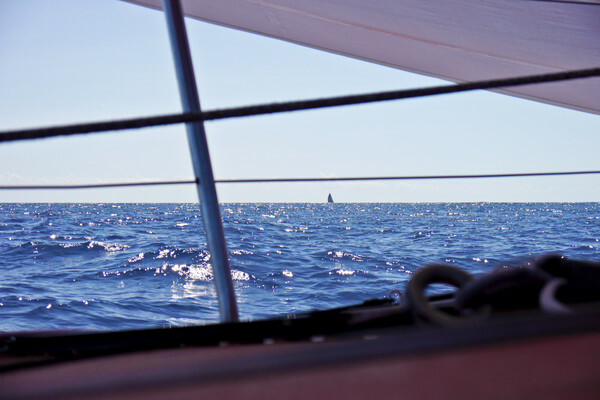 At 1300 UTC PUMA had a 9.28 nm lead, and CAMPER had returned to second place, half a nautical mile ahead of Telefónica in third. Ian Walker’s Abu Dhabi Ocean Racing were in fourth, 46 nm off the lead, but still capable of pouncing on any mistakes by the leading trio. Back in fifth, Franck Cammas’ Groupama sailing team are struggling to make major inroads into their 116 nm deficit. 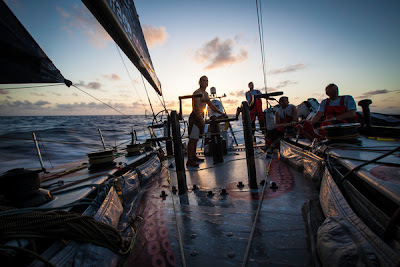 This morning the leading three boats made a synchronised move towards Brazil, gybing to the west to pick up an advantageous current and hook into a wind bend around the coast. 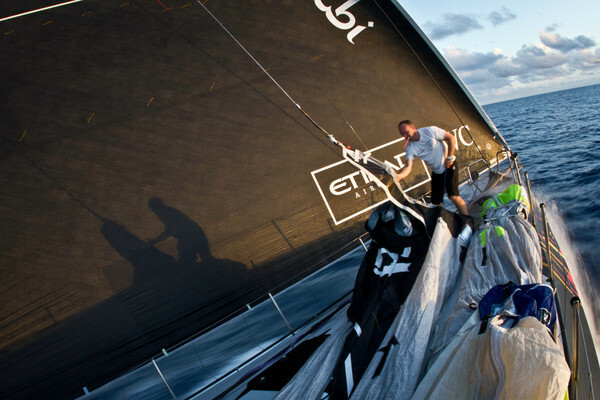 PUMA navigator Tom Addis said the top three boats had been sailing in pleasant down wind conditions and concentrating on taking full advantage of wind shifts to achieve optimal angles. Addis said the PUMA crew had welcomed having CAMPER and Telefónica as stalking horses, but were keen to stretch their lead before crossing the Doldrums and picking up the stronger trade winds. 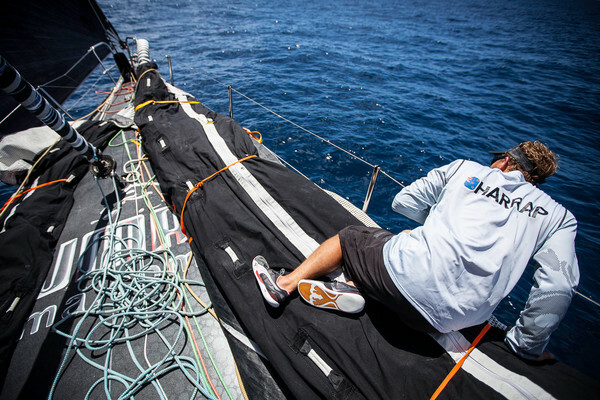 “We have had a bit of company which is always good because you can test your modes and work out the best way to sail your boat,” Addis said. 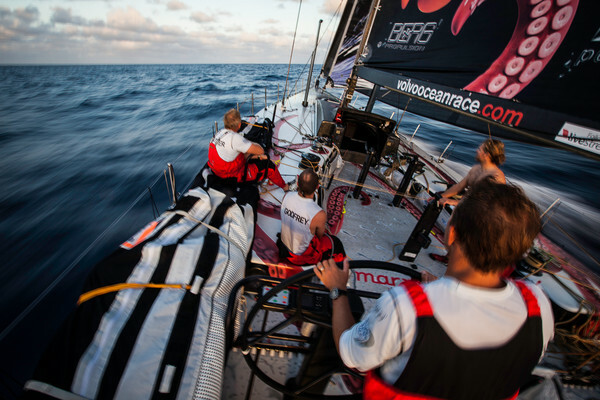 “It’s not quite drag racing yet though. 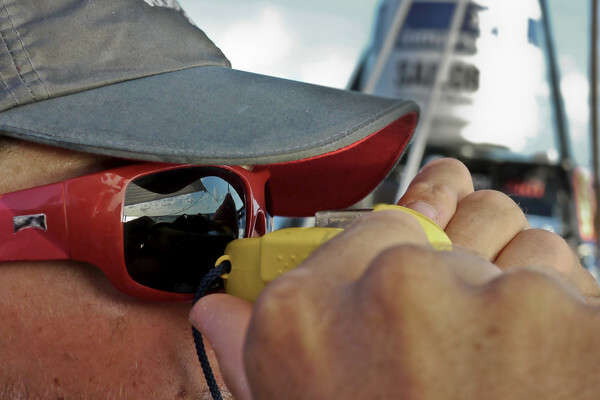 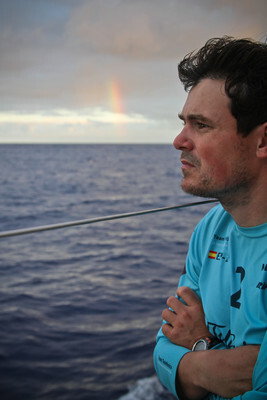 Addis confirmed that the first boat into the trades would get a jump on the fleet but said he believed that the fleet’s fourth Equator crossing could still be fraught with risk for the leg leaders. 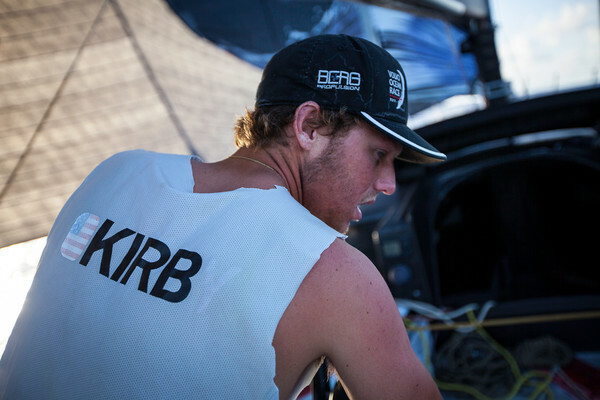 “We would always prefer to be leading into those situations, but it is a fairly fragile one this time I think,” Addis said. 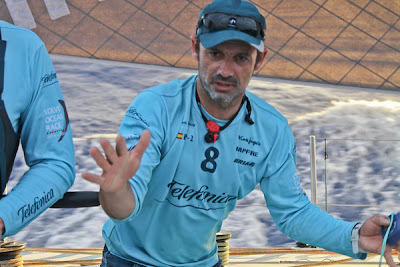 Telefónica watch captain Neal MacDonald confirmed the westerly move was all about the wind direction, strength and current, a direction he expected all three boats to keep heading for today. McDonald said he expected the three way tussle for the lead to continue for a while yet. “For the last 48 hours we have had those guys in our sights,” he said. “Right now we have lost them (CAMPER) and PUMA have got the better of both of us and slipped ahead. Race meteorologist Gonzalo Infante said the presence of two low pressure systems deep in the North Atlantic looked likely to disrupt the normal trade wind system after the equator, making the leg to Miami slower than expected, but giving hope to Abu Dhabi Ocean Racing and Groupama sailing team who are back in fourth and fifth respectively. 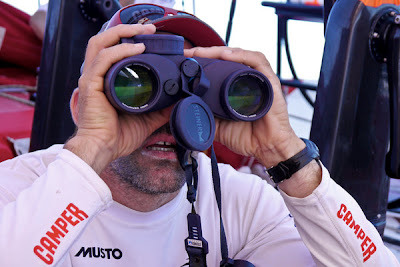 “The boats will track close to the Brazilian coast for now which will give them the best window through the Doldrums in the next couple of days,” Infante said. "With the trades likely to be disrupted, the drag race element of this leg might only last for 1,000 nautical miles or so, maybe as far as Antigua in the Caribbean. 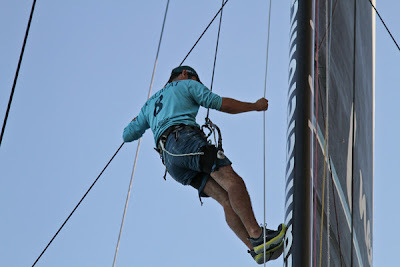 Neal McDonald said he believed the race was far from over despite the current spread of over 100 nm from first to fifth. 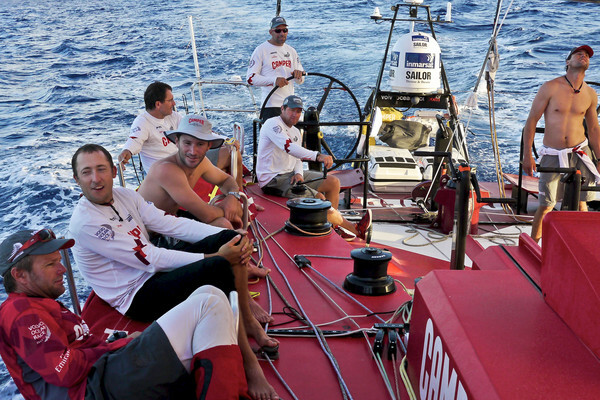 Latest predictions suggest the leading boats should arrive in Miami on or around May 9.